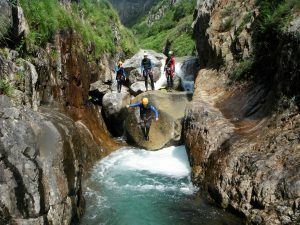 I’m stephane, you’re canyoning guide, and i invite you to visit my beautifull playground : the canyons of the valley of Vicdessos. 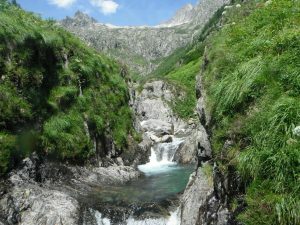 Located at 1 hour south of Toulouse in Ariege pyrenees. Teaching the descent of canyon from over 10 ans, I would like to share with you this passion the time of the descent or more if you’re conquered ! 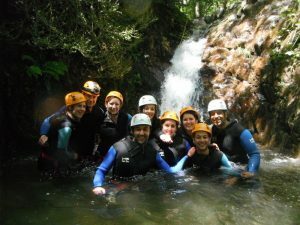 Canyoning is an amazing outdoor sport that mixes walking, swimming, jumping, sliding and abseiling. 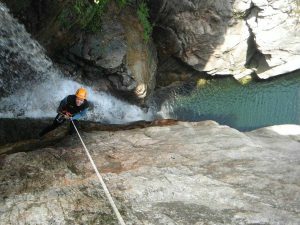 For the canyoning trip i provied you : wetsuit, sock, shoes, helmet, harness, carabiners and descender. And you just have to take your swimsuit, towel and good mood ! Welcome with coffee, presentation of the equipment, approach walk, equipment, briefing, descent of the canyon, debriefing with the beer ! 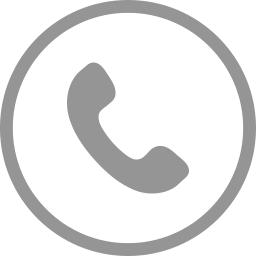 As a bonus I lend you my waterproof camera to make your memories pictures !